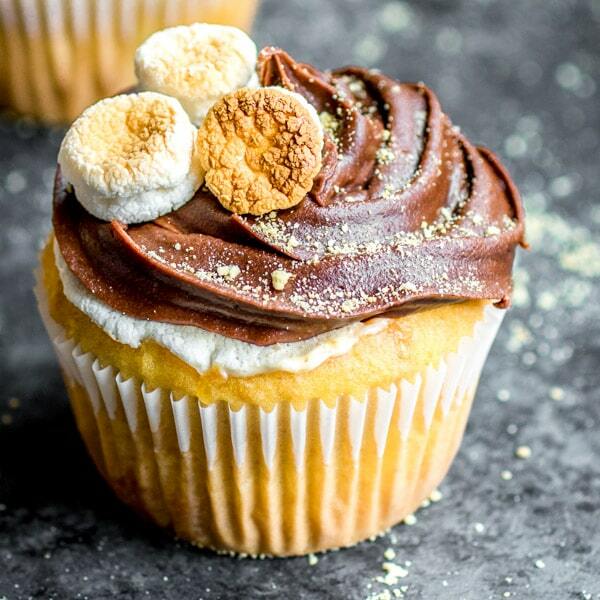 S'mores Cupcake - Home. Made. Interest. This post is sponsored by J.M Smucker company. The opinions and text are all mine. 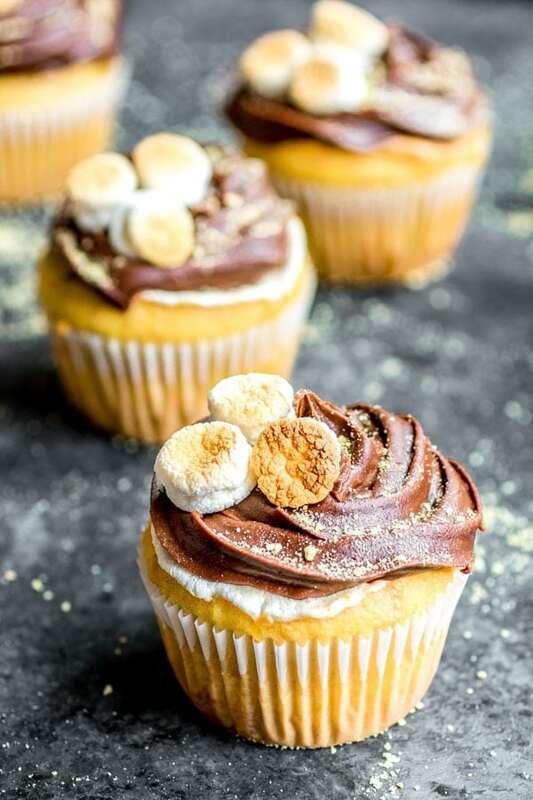 If you love s’mores this easy S’mores Cupcake recipe is for you. A graham cracker cupcake base is filled with a perfectly toasted marshmallow and topped with chocolate frosting. Making s’mores has never been so easy! I’m just going to say it, s’mores are the BEST dessert. They are a perfectly delicious combination of chocolate, graham crackers, and toasted marshmallow that I find irresistible. This easy S’mores Cupcake recipe is the latest addition to my ever-growing list of s’mores desserts and I think you’re going to love it! The only problem with s’mores is, in order to really get the experience, you need a fire, and sticks, and the patience not to burn your marshmallow…it gets complicated. I like to keep things simple, and building a fire every time I have a s’more craving just isn’t going to work. You can find everything you need for this S’mores Cupcakes recipe at Walmart, and it is quick, easy, and is way less messy than regular s’mores. 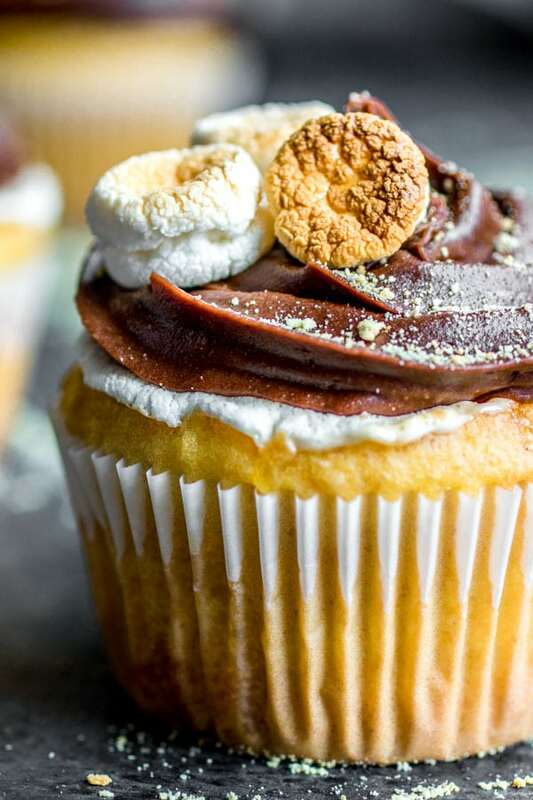 The best part is that it manages to pack everything you love about s’mores into a perfectly baked, graham cracker-flavored cupcake, filled with a marshmallow surprise baked right into the center, and topped with a chocolate fudge flavored frosting. Are you excited yet?! 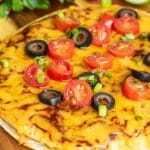 Yellow Cake Mix– You’ll need 1 box of yellow cake mix along with the ingredients listed on the back of the box. Graham Cracker Crumbs– You can buy graham crackers and crush them into fine crumbs OR you can just buy a box of graham cracker crumbs. These crumbs will be added to the cake mix to give it a graham cracker flavor. Marshmallows– The key to any good s’more. You’ll need the regular size marshmallows for this recipe, not miniature. 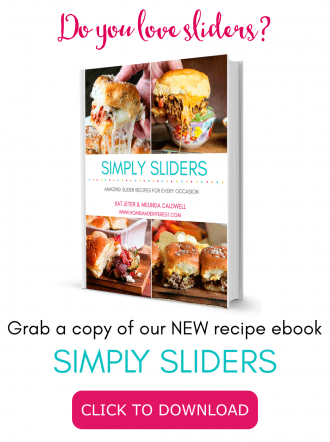 Pillsbury™ Filled Pastry Bags, Chocolate Fudge – Guys, these are amazing! They are sealed pastry bags with a star tip that are already filled with frosting. No need to go digging through my baking draw trying to find a pastry tip, no making a mess getting my frosting into my pastry bag, and no clean-up afterwards. Just quick, easy, pretty frosting for my cupcakes! Pillsbury Filled Pastry Bags are new at Walmart and you can find them in the baking aisle. They are available in three flavors, vanilla, chocolate fudge, and cream cheese. 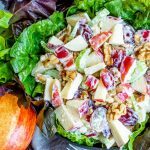 Pick up the chocolate fudge flavor for this recipe and grab the other flavors to have on hand for your next baking day. In a large bowl mix together the yellow cake mix, ingredients listed on the back of the box, and 1 cup of graham cracker crumbs. Stir until the mixture is fully combined. 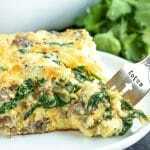 Place cupcake liners in a muffin tin and fill each about 1/2 full of cake mix. 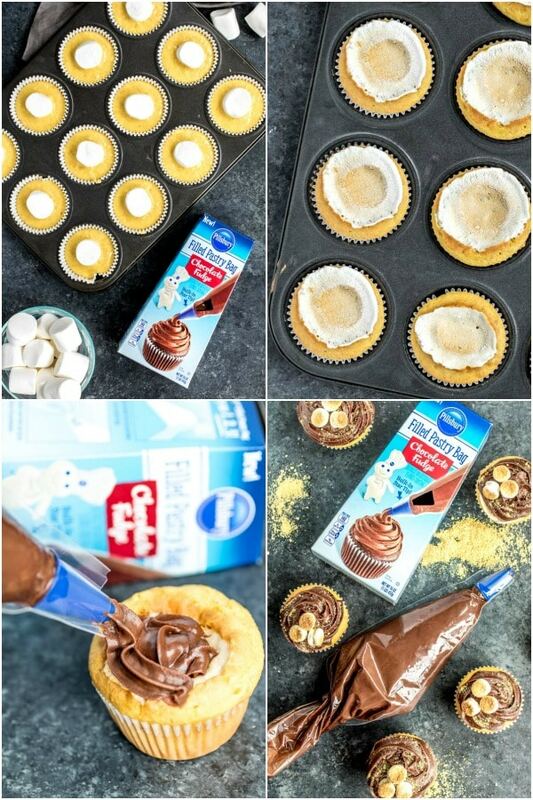 Press a marshmallow into the center of each cupcake. Once the cupcakes have baked and cooled, it’s time to frost them. 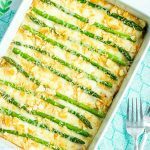 The Pillsbury Filled Pastry Bag makes this super easy. Just push the frosting toward the star tip and twist the top of the pastry bag, remove the plastic over the end of the star tip by tearing at the perforation, and then squeeze from the top of the pastry bag to frost. Where have these been all my life?! You can eat your s’mores cupcake right then or take a few more minutes and toast some mini marshmallows for garnish. It’s up to you…but those extra marshmallows are totally worth it! If you’re a s’mores fan, you have to try these easy S’mores Cupcakes. 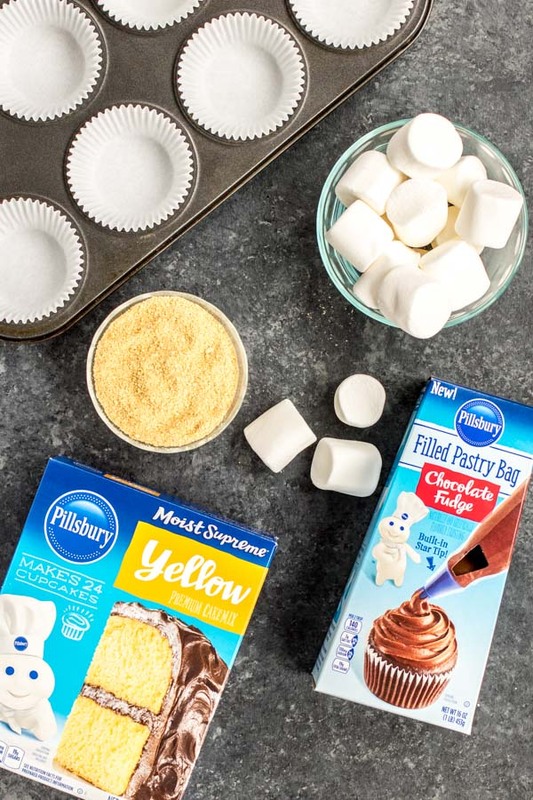 Keep it simple and pick up a box of cake mix and a Pillsbury Filled Pastry Bag (chocolate) to save time and enjoy easy s’mores all summer long! A graham cracker cupcake base filled with a perfectly toasted marshmallow and topped with chocolate frosting. 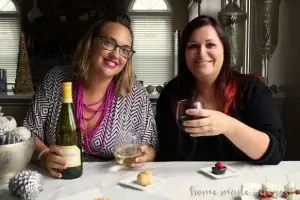 Making s'mores has never been so easy! Once the cupcakes have baked and cooled frost with chocolate frosting. Garnish with toasted mini marshmallows and a sprinkle of graham cracker crumbs.